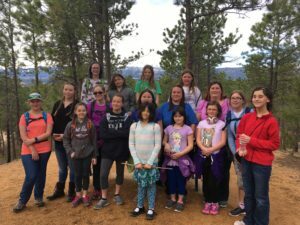 Calling all Girl Scout Brownies and Juniors to Girl Scout Day at the CSU Environmental Learning Center on Saturday, October 13, 2018! Juniors: 12:30 – 3:30 p.m.
For more information and to sign up visit www.csuelc.org. * Cost does not include badge and badges will not be provided at event. 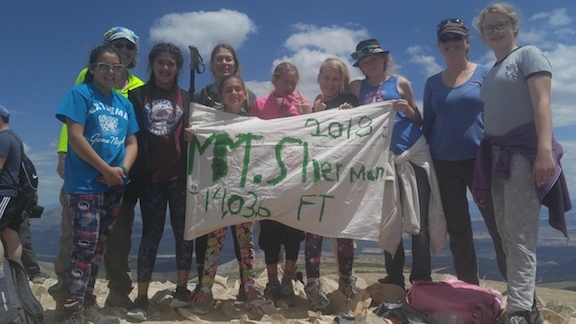 Troop 40607 had a great idea to hike to the top of Pikes Peak. They knew in order to do so, they would have to train for it. The girls looked up local trails and devised a plan to hike them. We then invited troops to join us! Our first hike was April 8, 2017 at Fox Run Park in Black Forest.